Letter from Theodore Sanxay to Rev. Michael Hummer. 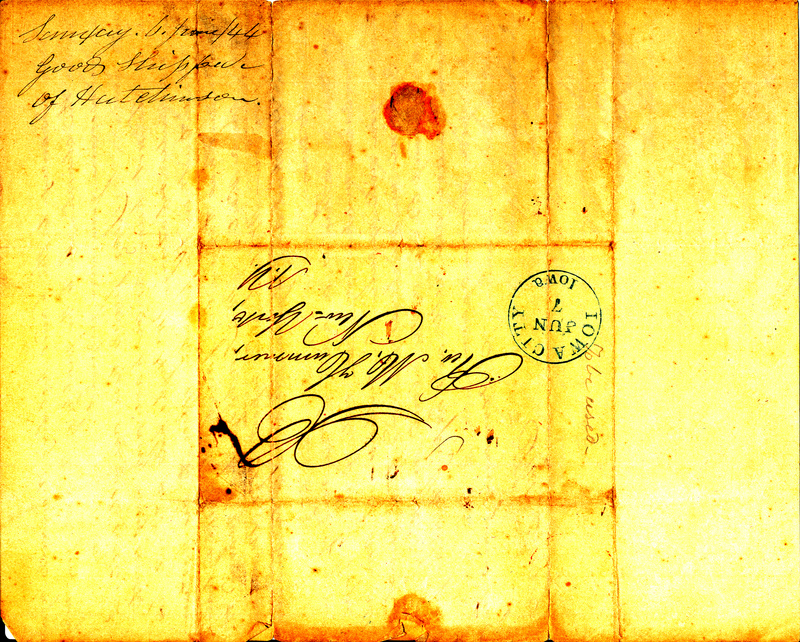 The letter is dated June 6, 1844, and is addressed to Rev. Hummer in New York. It speaks of the ongoing construction of the Church and materials for it, so it seems likely that this was during one of Rev. Hummer's trips out east to raise funds. Theodore Sanxay was a founding member of the Church, and served on its Board of Trustees. Sanxay, Theodore, “1844 Letter and envelope from Theodore Sanxay to Rev. Michael Hummer,” Iowa City Public Library, accessed April 24, 2019, http://history.icpl.org/items/show/2041.